Stay informed and receive special Promotions & Incentives direct to your inbox! 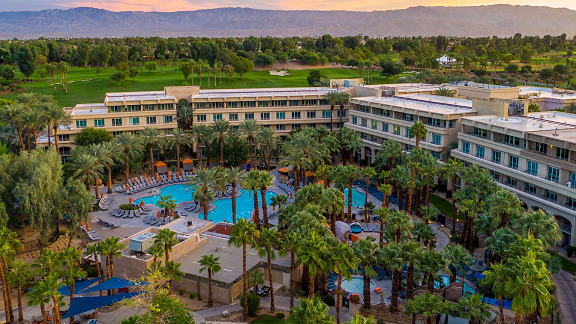 Nestled on 45 acres of lush landscape with golf and mountain views, Hyatt Regency Indian Wells Resort & Spa is the perfect Palm Springs area escape. Only 20 minutes from Palm Springs Airport, the resort is mid-valley for convenient access to shopping and outdoor adventures, with on-site dining and recreation including tennis and golf. © 2018 Next Level Summits. All rights reserved.